This unique snack gift basket for your favorite handy man is sure to please him. 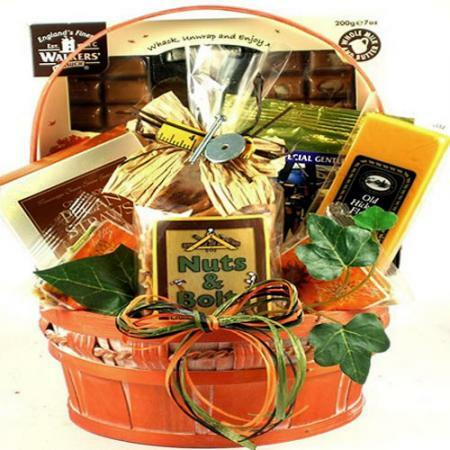 A great birthday gift for guys, Father's Day gift, holiday or thank you gift basket for a man. This Handyman gift basket offers a hearty selection of savory snacks in a fun tool themed gift basket that he is sure to love! What a handy gift basket for the Mr. Fix-It man on your gift list. Click here to view more gift ideas for men.